Theoretical training process of project „Employment and Entrepreneurship without Borders“ (BEE, LLI-38) has finished succesful. Last two modules of training courses took part in Anyksciai art incubator – art studio. 4 mixed groups of Lithuanian and Latvian craftsmen took part in each training module. Module 6 „Business planning“ (2 days). All the secrets of business planning shared by VMU lecturer, doc. dr Vytautas Liesionis. Intensive training has inspired many participants, many of whom have become aware of the most important aspects of business planning, which can strongly influence the success of creative business development. 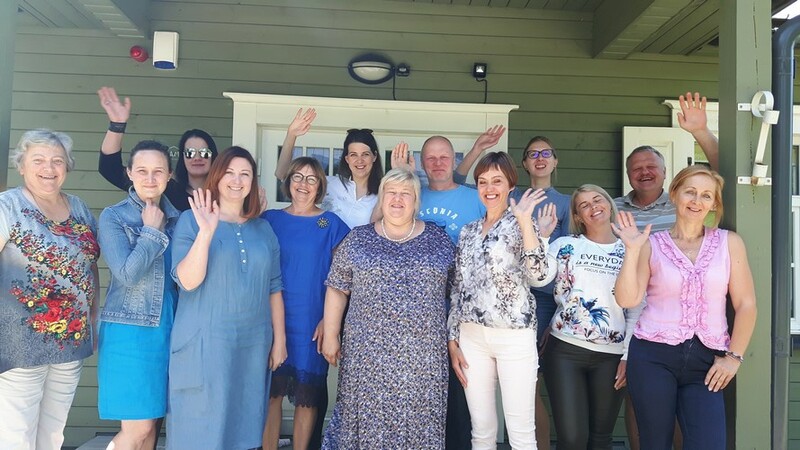 Excellence and creativity training courses has reached “the finish line” – with the final training sessions of the 7 Module, “Intelectual Property”. Lector Jūratė Breimelytė’s explained about brand patents, copyrights and legal opportunities to export their product or work to markets in other countries. During the training in Anyksciai, translator Ronaldas Tuomas helped in Lithuanians and Latvians craftsmen communication. It’s great to see that the training not only inspired the creators for new work and creative solutions, but also created a beautiful friendship. It is likely that in the future we will be able to receive new creative projects – during the training, it was heard how artists interact and talk about joint product development. Is it interesting? Project organizers are also looking forward to these results. This article has been produced with the financial assistance of the European Union. The contents of this article are the sole responsibility of Anykščiai Art Incubator – Art Studio and can under no circumstances be regarded as reflecting the position of the European Union.